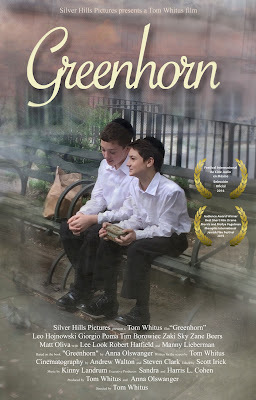 Middle Grade Ninja: GUEST POST: "7 More Questions For Author Anna Olswanger About The Greenhorn Movie"
GUEST POST: "7 More Questions For Author Anna Olswanger About The Greenhorn Movie"
She is the author of Shlemiel Crooks, a Sydney Taylor Honor Book, Koret International Jewish Book Award Finalist, and PJ Library Book, and Greenhorn. Click here to read Anna's original 7 Question interview. Question Seven: What’s the biggest difference between the film version of Greenhorn and your novel? Both the film and the book have a similar directness in the storytelling, but the characters differ, mainly in degree, because the actors brought their own bodies and voices to their roles. The rebbe, especially, is different from what I saw in my head during the writing. The rebbe in the film, because of his bearing, seems more vulnerable. The soundtrack also makes a difference. The composer’s score carries the audience along emotionally without words, and the book, of course, conveys its emotion with words. Question Six: Is there anything from a storytelling perspective that the medium of film has allowed you to do that you weren’t able to do in your book? Because I was the co-producer, and closely involved with the script, I was able to rewrite some sections, such as the rebbe’s speech when Daniel first appears in the classroom. In the film, the rebbe talks about the prophet Ezekiel standing in a valley full of bones and prophesying to bring the bones back to life. This speech hints at what Daniel had been through as a Holocaust survivor, a moment I had left undeveloped in the book. The medium of film forced me to deal with the particulars of the story that I didn’t concern myself with in the book. As the co-producer, I had to help find props, such as Talmuds for the classroom, a mezuzah cover for the dormitory room door, yarmulkes for the actors. Would boys in the 1940s have worn t-shits under their white shirts? What kind of shoes would they have worn? Did boys then wear watches? So, in a sense, the film forced me to deal with details and imagine the story even more realistically. Question Five: What’s been your favorite thing about adapting your novel to a film? The film opens the story to a new, and different audience. Six states have mandated Holocaust education: California, Florida, Illinois, New Jersey, New York, and Pennsylvania. Ten other states have regulations encouraging or recommending the teaching of the Holocaust: Connecticut, Georgia, Indiana, Massachusetts, North Carolina, Ohio, Pennsylvania, Rhode Island, South Carolina, and Washington. Twelve states have also created Holocaust commissions or councils that support Holocaust education: Alabama, California, Florida, Georgia, Kansas, Nevada, New Jersey, North Carolina, Ohio, South Carolina, Tennessee, and West Virginia. 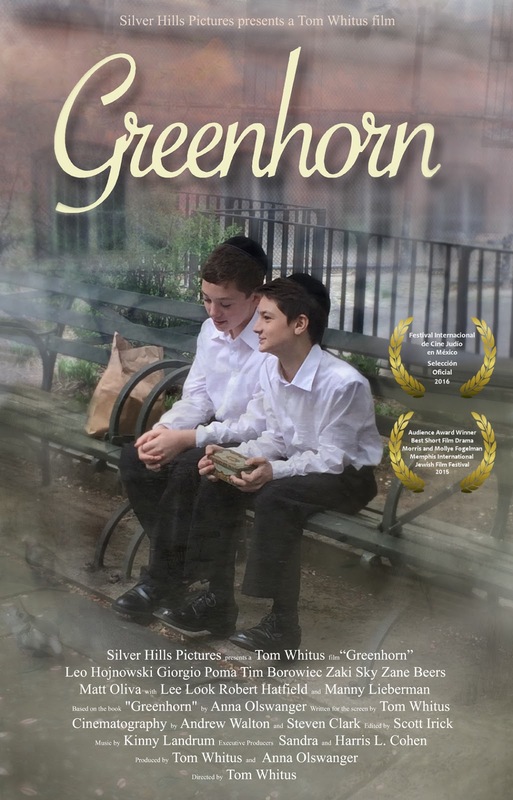 Teachers in those states have access to the film and its discussion guide, which means that students of all religions and ethnic groups can view Greenhorn and discuss the Holocaust, bullying, disabilities, and the importance of friendship. Question Four: What’s been your least favorite? Fundraising for the film was hard work. I didn’t like asking friends and family for money. Question Three: What advice would you have for an author hoping to have their work adapted to film? 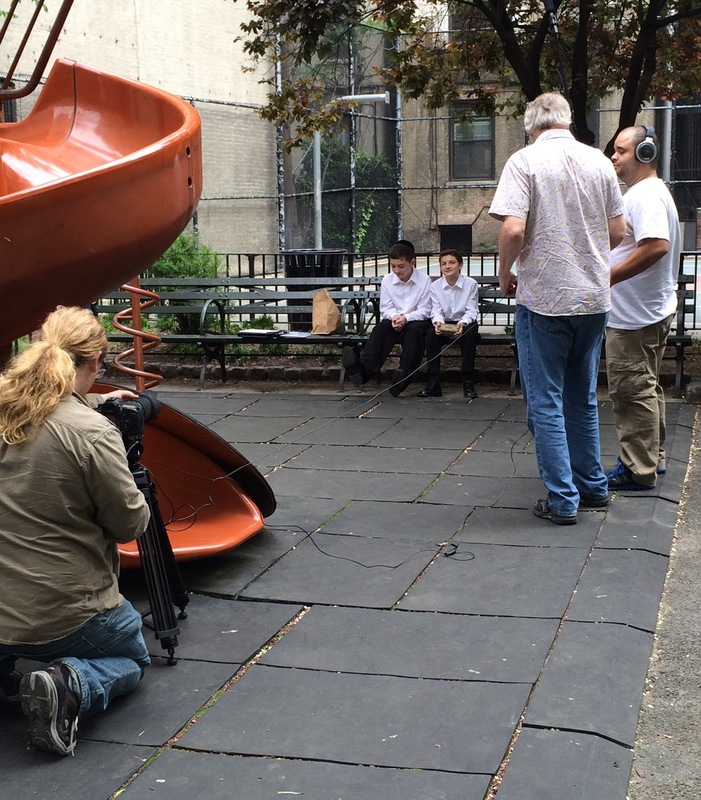 Be prepared to produce the film yourself. Find the director, and through the director, the actors and sets. Do a crowd fundraising campaign to finance the project. Accept that it won’t be a big budget film, but it will introduce your book to a wider audience. Question Two: Now that you’ve had a movie made of your book, which is a dream for many authors, what’s the next milestone you’re looking forward to reaching? My next milestone is somewhat unrelated. My father was a pianist and composer who died in 1981. I’d like to learn to play his compositions. One of his pieces, “Sutton’s Lick,” is part of the soundtrack of Greenhorn. I haven’t played the piano since I was a young child, and now I’d like to learn how to play the music he left behind. I’d like to have lunch with Ron Howard. He started out as a child and teenage actor, and his career could have ended when the child parts dried up, but he went on to direct and produce. I think he’s a role model for any artist who wants to grow over time. This writer was involved in the total package! That had to be wonderful and exhausting at the same time. Thanks for telling us about Greenhorn.